Could We See A Smallville Reunion On Beauty And The Beast? Derek B. Gayle lists some of Smallville’s best later episodes you might not have seen. KryptonSite has gotten confirmation that Allison Mack will be returning for “Collateral,” the 12th episode of Smallville’s 10th season. The episode is scheduled to air in early 2011. Syfy.com will begin streaming the digital series Riese beginning on October 26. 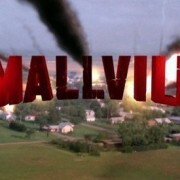 The series features Smallville veterans Allison Mack, Allesandro Juliani, Sharon Taylor, and Ryan Robbins as well as many more sci-fi favorites.